A glass of wine is always nice, but when paired with charcuterie, the experience can be exquisite. If you're not familiar,charcuterie is the culinary art of preparing meat products such as salami, ham, sausage, terrines, galantines, ballotines, pâtés, and confit. For those who enjoy unique culinary adventures, charcuterie is something truly special. Here are five fantastic NYC wine bars with a focus on charcuterie. Wine and dine to your heart's content as you sample these delectable delights all around The Big Apple. Casual and cozy, Charc is a 25-seat restaurant and bar catering to artisanal charcuterie-lovers who enjoy unique flavors and meat-focused fare. Choose from smoked paprika cured pork loin, foie gras mousse, pork and fig pâté, or one of Charc's other equally-delicious charcuterie offerings. Cheeses, sandwiches, small plates, and tastings are also available, along with meal-enhancing sides like pear jam, tarragon mustard, and cornichons. 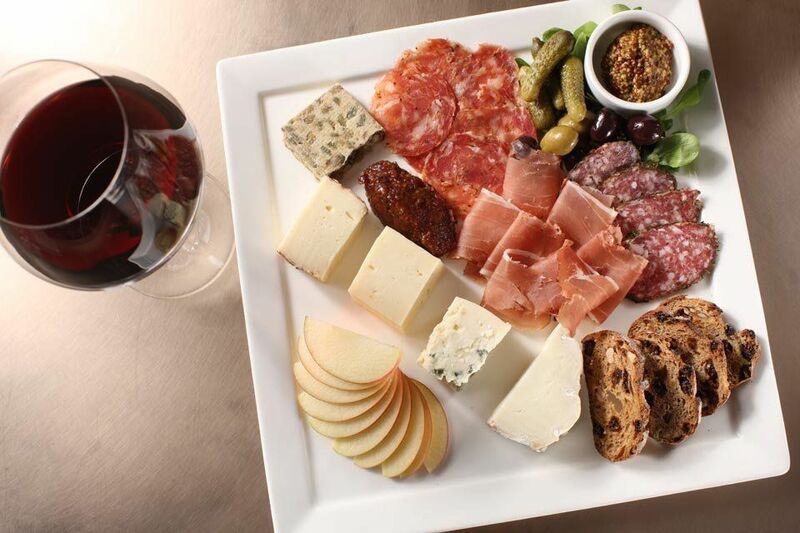 Wines from all over the world are offered by the glass or bottle, perfect for providing the grape goodness that goes so well with a plate of Charc's house-made charcuterie. Relaxing and remarkably designed, Aldo Sohm Wine Bar is a midtown favorite for fine wines and creative charcuterie. With dishes meant for sharing, this spot is perfect for dates, meetups with friends, or an after-work happy hour. Whether you're in the mood for Champagne, rosé, pinot, or sherry, Aldo Sohm Wine Bar's by-the-glass list is extensive and impressive. And for the charcuterie? Divine. How does wild boar sausage sound? Chicken liver mousse, duck rillettes, and beef bresaola are all favorites, but why stop there? 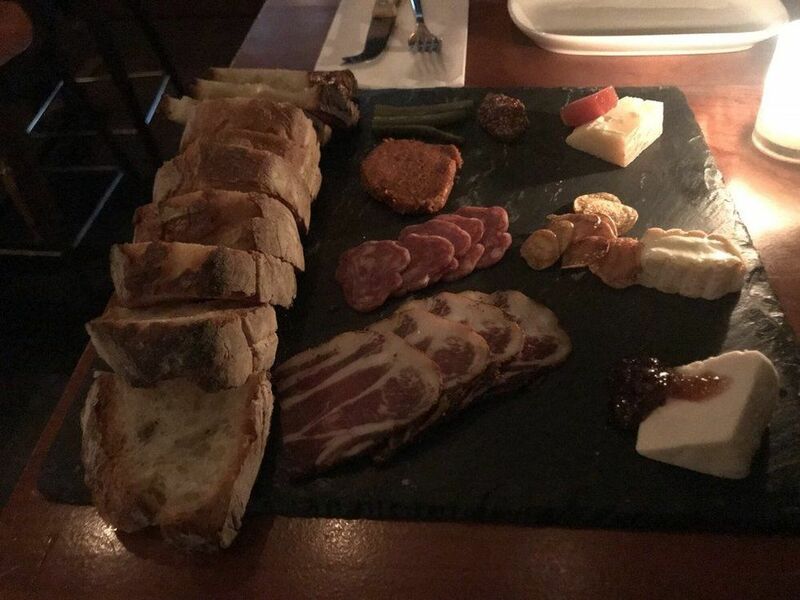 Go all out and order "The Tower" featuring an assortment of all their charcuterie offerings along with condiments and a fresh, warm baguette. Now that's Sohm wine bar! Located in the heart of NYC's glorious Lincoln Center, Bar Boulud is famed chef Daniel Boulud's nod to French fare in a casual bistro setting. Terrines and pâtés are all the rage at this Upper West Side corner spot, with both indoor and outdoor seating, weather permitting. 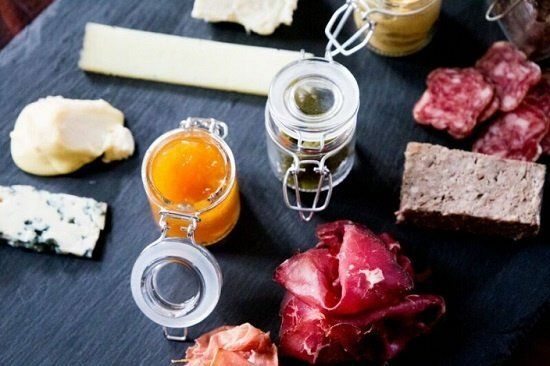 "Bar Boulud features artisanally-made French charcuterie, with recipes from award winning Parisian charcutier Gilles Verot, a third generation charcutier with boutiques in Paris." Feast on fabulous foie gras, truffle, and port, or select the squab, raisin, and prune dish. Braised lamb is always luscious, as is their award-winning head cheese. 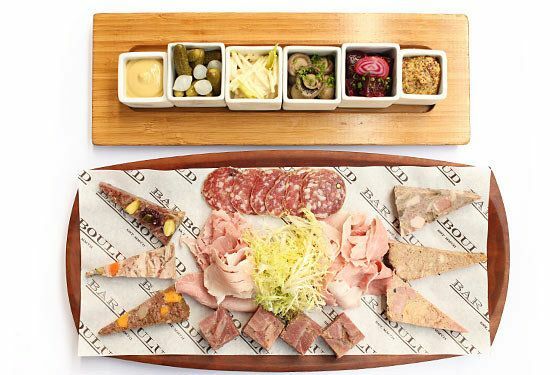 Pair your charcuterie with Bar Boulud's house-made picked vegetables, coriander carrots, or celery remoulade to take the taste to new heights. Beneath the restaurant is an elaborate wine cellar, housing bottles from all over the world. Be it Burgundy, Beaujolais, or bubbles, Bar Boulud's sommelier is ready to pour. Modern and made for wine and charcuterie cravers, Ardesia is a hip and happening spot for tasty treats, sublime sips, and an overall chic atmosphere. Their wines are fairly priced, and the list is impressive, with plenty of reds, whites, sparkling, and roses, as well as a decadent dessert wine to end the night on a sweet note. 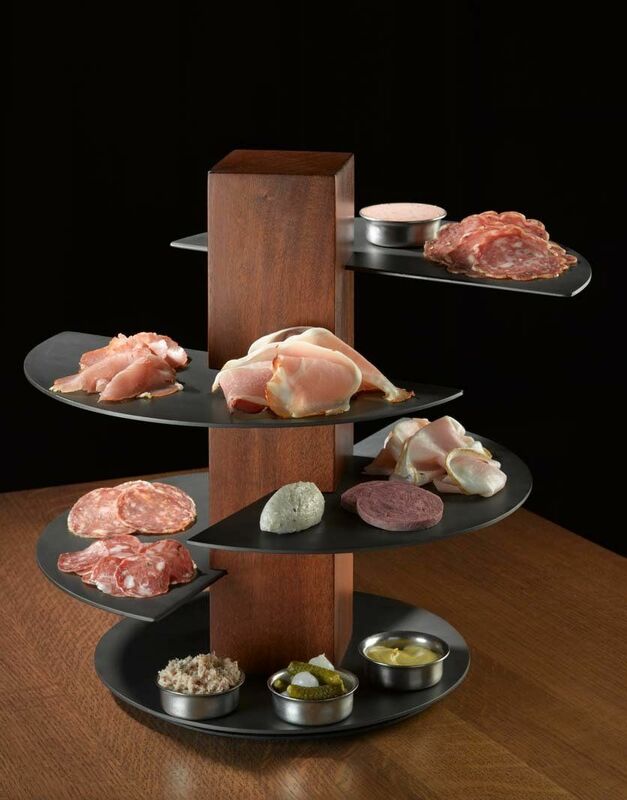 Charcuterie is only $6.00 a piece, but each plate tastes like a million bucks. Served with house-made pickles, whole grain mustard, and crusty bread, options include pig and fig terrine and wild boar salami that tempt the taste buds with savory sophistication. Pair your charcuterie with one (or more) of Ardesia's cheeses like ricotta, raw sheep, or goat, all as delicious as their charcuterie. Be sure to stop by for a "Bottle & Board Sunday" for perfectly-priced pairings and off-menu selections. Rockefeller Center is a NYC go-to-destination, and Morrell Wine Bar & Café is the place to eat if wine and charcuterie is what you're hungry for. "The wine bar features over 75 wines by the glass, one of the largest selections in the city, and the company's massive Rare Wine Vault includes some of the most difficult to find bottles in the world." Choose a flight of red or white to have the opportunity to sample more than one wine, and pair each glass with charcuterie that is as amazing as the Rockefeller Center atmosphere that surrounds you. Speck is always sublime, as is duck pâté, foie gras, or wild boar sausage. Why not get the chef's selection and sample a variety charcuterie and cheese, making ordering simple? You must top off the meal with a plate of assorted chocolate truffles or an apple tart. You are in The Big Apple, after all! Forgo the usual fare and explore the world of wine and charcuterie. These five spots will make you a lifelong fan.